Sometimes staggering events happen in life and we�re thrown completely off balance. Chaos ensues both internally and externally. It was one such event that was pivotal for Patrick Riccards and set him on a journey of discovery toward what was truly important to him. When Riccards suddenly (and inexplicably) loses his job, he is devastated, but it forces him to take stock of his life � to re-examine his relationships, his perceptions of himself, his fears, his values, and dreams for the future. Dadprovement is his raw and honest account of recognizing that he wasn�t the great father or husband he thought he was, that he had simply been going through the motions. 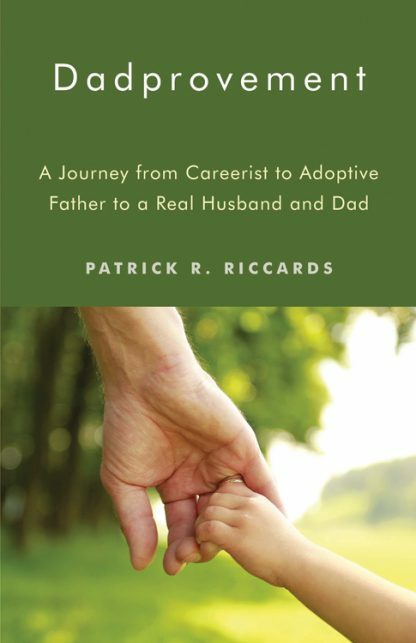 Starting with the adoption of two children from Guatemala, Riccards writes of the vast obstacles faced in the international adoption process, the challenges of building a family, and the rollercoaster ride that follows as one tries to balance career and home life. Part adoption story, part career memoir, and a complete telling of one man's path to personal and professional redemption, Dadprovement details some of the difficult truths to inspire and help other parents wrestling with how to live up to society's expectations when it comes to career and family. By getting to the root of what is truly important, Riccards recognizes what a �terrific support staff� he has in his family and that anything is possible with them by his side. �Through dumb luck, or the persistence of those who truly cared for me, I finally had the epiphany that we all seek. I realized I was focusing on the wrong things, putting too much value on the professional me and not enough on the personal me. After all that we had gone through to create our family, I wasn�t doing my part to be the good husband and father I once thought I was. Adopting our children was only the first step in understanding my true responsibility to them. Fatherhood wasn�t about the professional job I held. And it certainly wasn�t a pass/fail class where you got the gold star and didn�t need to worry about it anymore. This journey has helped me see that I am just at the start of fatherhood. I still have much to do, much to learn, and much to improve. Patrick Riccards is a nationally recognized strategist, writer, and public speaker on school improvement and education reform issues. A noted education agitator, he is the author of the award-winning Eduflack blog (http://blog.eduflack.com). Named PR News' Public Affairs Professional of the Year in 2013 and Bulldog Reporter's Not-for-Profit Communicator of the Year in 2011, Riccards is a contributing author to Why Kids Still Can�t Read: Challenging the Status Quo in Education and PR News� Media Training Guidebook: Volume 2. He is also the author or editor of a dozen major education policy reports. Most importantly, Riccards has been married to Jennifer since 2001 and is the proud father of Michael and Anna. Today, his most important jobs are those of husband and dad.